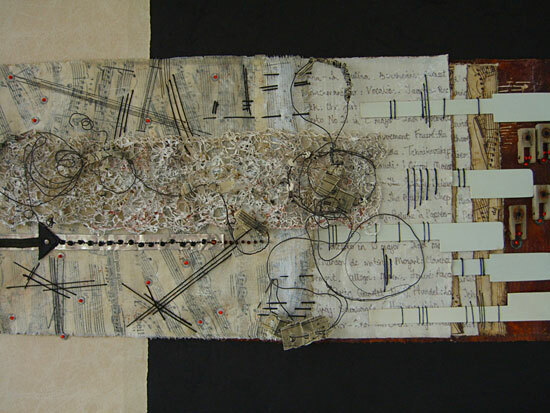 Inspiration for these panels came from a very old piano, sitting exposed to the elements for many years in a scrapyard. I began to deconstruct – vandalise – it and came to appreciate the many thousands of minutiae that go into the making of wonderful music. 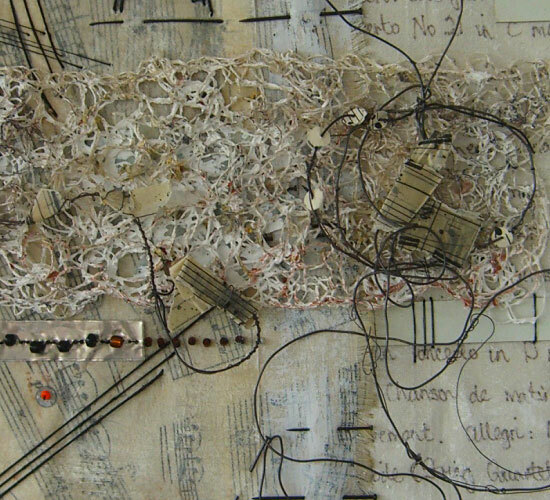 Each of the panels has evolved, incorporating old music, fabric, knit, wire, bits from the actual piano and, of course, the stitch.